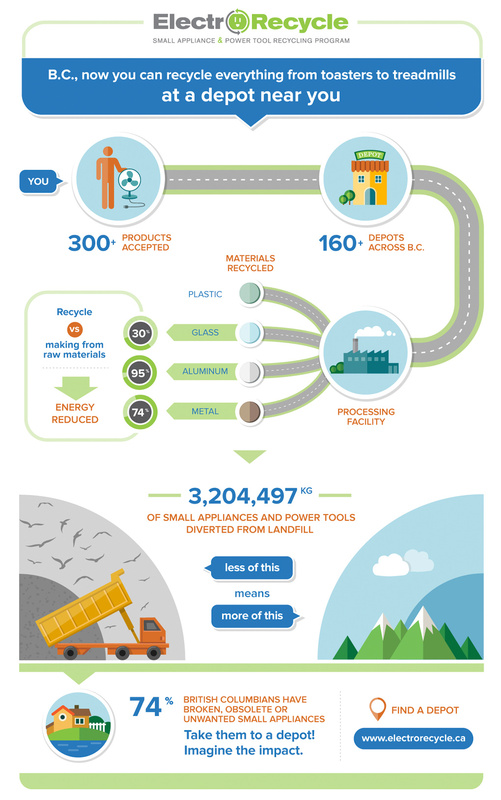 Commissioned by GK Meida, a Toronto web development firm, I created this infographic for B.C's recycle program. To inspire people to drop off small appliances in depots and increase awareness that more things can be recycled. Focus on the importance of not adding unwanted products to landfill.